This is the first installment of a series highlighting TV industry thought leaders who spoke at or attended WideOrbit Connect 2018. Just over a month ago, TV leaders from around the world gathered in San Francisco for WideOrbit Connect 2018. Among these leaders was Al Lustgarten, VP of Technology and IT at Hearst Television. Lustgarten shared his thoughts on the TIP Initiative, ATSC 3.0, and the extensive targeting capabilities of local broadcast television. The Television Interface Practices (TIP) Initiative is spearheaded by a group of station groups who support open interfaces that facilitate workflow between local broadcasters and media agencies. The group, consisting of station groups Hearst, TEGNA, Tribune, Sinclair, Nexstar, and Raycom Media, agrees that automating advertising transactions is key to streamlining relationships between broadcasters and agencies. 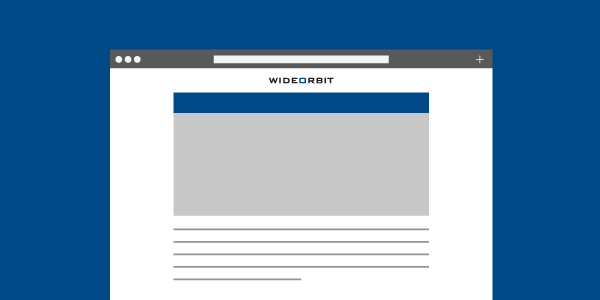 WideOrbit is collaborating with the TIP consortium to streamline the flow of data across station business groups and has developed an API for exporting air time data from WO Traffic. More information can be found in our recent press release about our support for TIP. Keep an eye out for the next installment in the Beet.TV series.